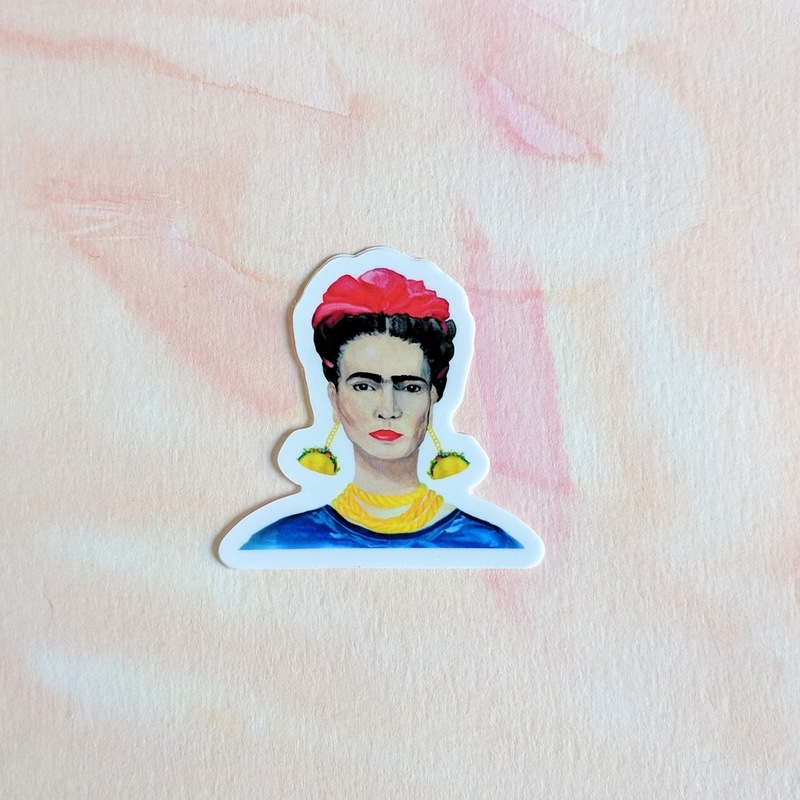 Frida Kahlo with Taco Earrings - watercolor sticker made out of durable vinyl. Use this watercolor sticker is great for food lovers, foodies or taco lovers. 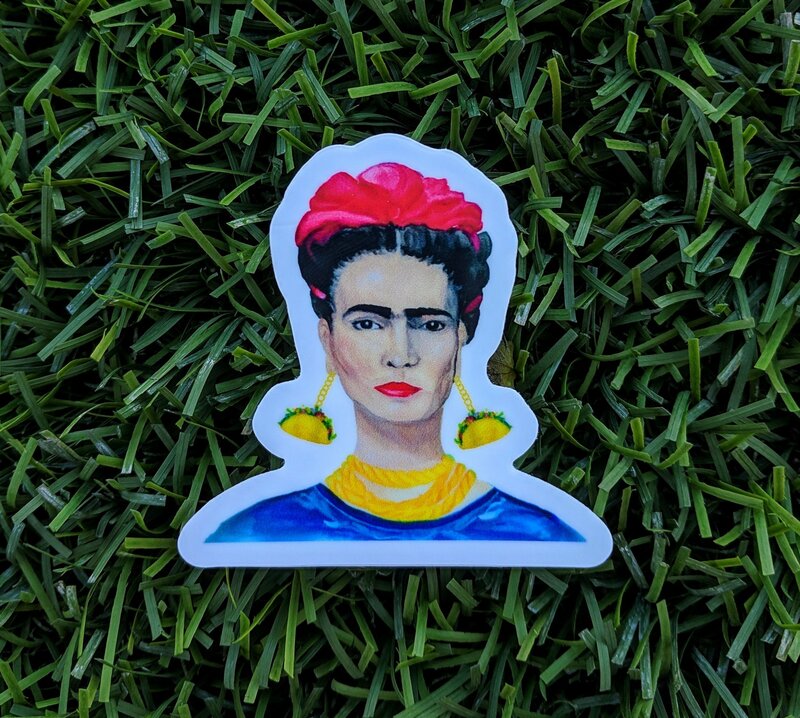 It's also great for fans of Frida Kahlo.